All of our levers are supplied in pairs with fixings and spindles included. 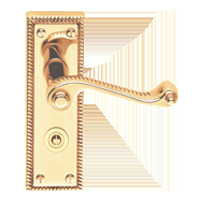 Used in conjunction with tubular/mortice latch. 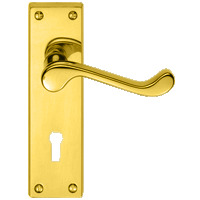 Used in conjunction with mortice sashlock with euro cylinder. Used in conjunction with Bathroom locks.A 5mm spindle activates the deadbolt by a turn from the inside,with a emergency override on the outside. 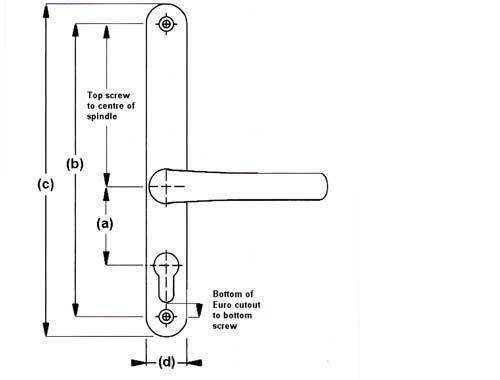 Used in conjunction with a tubular or mortice latch and features a lever which can be locked in position by a turn on the inside,with a emergency override on the outside. 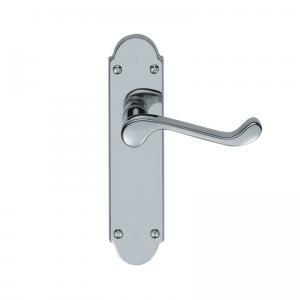 Used with a tubular/mortice latches or mortice sashlock with a separate cylinder or turn.Matching WC turns and Escutcheons are available within each category. A.CENTRES(PZ) The distance between the centre of the handle spindle to the centre of the top of the euro hole cut out. B.SCREW CENTRES The distance between the screw holes. C.BACKPLATE The size of the back plate(length x width)in mm.